Bringing Home A New Puppy? Free Advice On Puppy Care! Bringing home a new puppy is such an exciting time and it's very easy to overlook certain important preparations during all that excitement! 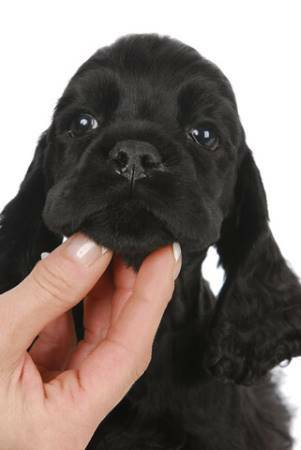 Learn how to prepare for your new puppy and discover practical tips and advice to help your Cocker Spaniel settle into his new home quickly and easily. 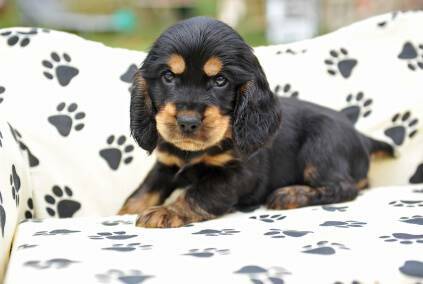 My aim is to help you settle your Cocker Spaniel puppy into his new home quickly, comfortably, and without fuss. Preparing for bringing your new puppy home, for example, puppy proofing your home, preparing him for leaving his mother, and making sure you've all the basics your puppy will need. Collecting your puppy: There are many things you can do to help make your puppy's departure and his journey to his new home more comfortable. Arriving home with your new puppy: What happens next? 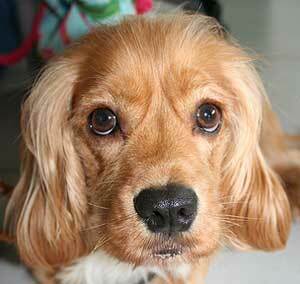 For starters, introduce him to his new family and his new home. Your puppy's first night: Bringing home a new puppy and then expecting him not to cry during his first night is a big expectation. Learn how to help your new baby get through his first night in this strange new place away from his mother and siblings. 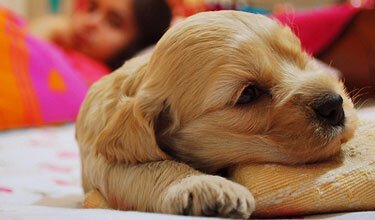 Your puppy's ongoing care routine: Learn how to take care of your new puppy's daily needs. No matter how hard you try, there's always a couple of last minute things that get forgotten in the excitement before bringing home a new puppy. I'm assuming you've already puppy-proofed your home and garden and that you have enough basic supplies to get you through at least the first couple of weeks. If not, go ahead and read the linked articles and then return to this page. About a week before you're due to collect your pup, it's a great idea to leave a tee-shirt with your scent on with the breeder who can give it to your pup to sleep on. (Wear it in bed for a couple of nights, but don't wash it). 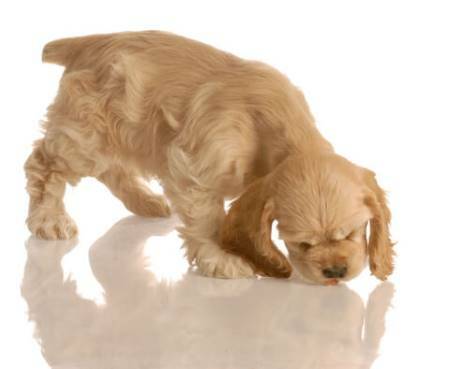 This will help your new puppy get used to your scent. You could also leave a blanket and a soft toy with your breeder so that it can be placed in the whelping box. By the time you're ready to collect him, both the blanket and the toy will have his mother's and his litter-mates' scent on them, which will make your Cocker Spaniel puppy feel much more comfortable and secure in his new and strange human world. You're bringing home a new puppy. It's so exciting. And now it's time to collect him! It's best if you can ask someone to drive you, this way, if your pup becomes restless or anxious you'll be able to take care of him without worrying about the driving. However, if you're on your own, I suggest take along a dog crate, a pet carrier, or even a ventilated cardboard box, to make sure he's not loose in the car. Layer the carrier with plenty of old newspaper because he'll almost certainly need to pee (and maybe even poop) on the way home, especially if you have a long drive ahead of you. Take a roll of kitchen towel with you, a plastic bag and perhaps some wet wipes, just in case he gets car-sick and you need to clean up. If you're bringing home a new puppy on a very hot day it would be wise to take a bottle of water and a small bowl with you so that you can give him a drink if he gets thirsty. If the becomes too hot for him, you may need to create some shade from the sun whilst he's in the car. If it's a cold, wintry day, you can wrap him up in his new 'scented' blanket. It will certainly keep him warm and toasty and make him feel much more comfortable. When bringing home a new puppy in the car, never be tempted to stop at the side of the road to let him out to pee. I've heard of puppies being killed in similar situations, after having darted into the middle of a busy road! It doesn't bear thinking about, does it? But fatal accidents happen all too easily, and all too quickly! Personally, I'd keep him inside and wouldn't take any risks at all. Let him pee on you if he has too, he's just too precious! Bringing Your New Puppy Home: It's Time! I think you'll agree that this video sums up the excitement of bringing home a new puppy. I hope you enjoy it! At last, you've arrived home with your cute little ball of fur and now all you want to do is cuddle, stroke, play and generally make a fuss of him. There's nothing wrong with that, but there are a couple of things I recommend you do first! If you don't want him to pee in the house as soon as you get through the door, take him into the garden (to the spot you've chosen for him to do his toilet) and let him wander around for a little while to see if he wants to pee, but don't leave him on his own. After a few minutes, regardless of whether he's pee'd or not, take him inside, introduce him to his new family and then let him see his sleeping area and give him a few minutes to explore it. (I'm hoping you've chosen to use a crate for his bed - I heartily recommend it!). Show him his food bowl (with a morsel of food) and his water bowl. He may be thirsty and need a drink after his journey. If he eats or drinks, you may need to take him outside again. If you have children, make sure you've read them the riot act and that they're aware of how to behave around their new puppy. For now, when the pup is around, they must remain calm and reasonably quiet, making no sudden moves that could frighten him. Next, take your new pet into a room where you can sit down and relax with him. He may be quite lively if he's slept during the journey, in which case let him explore but keep a watchful eye on him, especially if he didn't pee in the garden, because he probably won't yet be fully potty trained! If he's tired, let him fall asleep, and then gently place him in his new crate and leave him. As soon as he wakes, take him outside again to see if he wants to pee, then bring him inside and offer him some food. Bringing home a new puppy may be exciting for you and your family, but it can be quite an upsetting time for a little pup, everything will be so strange to him. So don't be surprised if he doesn't eat, he may need some time to adjust to his new surroundings and his new family. He'll also be missing the familiar smell and comfort of his mother and his brothers and sisters, but hopefully the scent from his blanket (the one you left in the whelping box and is now in his crate) will help him feel a little easier. Important Note: If your pup fails to eat over the next couple of days, is sick, or has prolonged diarrhea, or he seems generally unwell, don't hesitate to contact your vet, the sooner the better. Your vet won't mind if it's a false alarm. It's better to be safe than sorry! Your puppy will almost certainly cry during his first night because he'll be missing the warmth and comfort of his mother and his litter-mates. This can be heartbreaking, especially if you don't know what to do for the best. What follows is a suggested new puppy care routine to help get him through his first night in his new home without too much trauma. Two or three hours before you plan to put him to bed for the night, offer him a little food and water. Don't forget to take him straight outside to his designated toilet area to see if he wants to pee. Stay with him for a few minutes and then bring him back inside and let him settle for a while. Have a little play time before bedtime. The mental and physical stimulation will help to tire him out and he may sleep soundly during his first night. Before you put him to bed, take him out for another pee...you'll be doing this a lot until he's fully house-trained! Bring him back inside, give him a cuddle to help 'wind him down' and relax him. He may fall asleep on your lap (after all, he'll have had a busy, if not traumatic day!) Once he's asleep, gently place him in his crate for the night, along with the 'scented' soft toy and blanket. If doesn't fall asleep, try placing him in his crate anyway. With a bit of luck he'll play quietly or snuggle up to his soft toy before nodding off. If your puppy cries when he's left alone, I recommend you ignore him and leave him where he is. Although it will be heartbreaking to hear, it will be better in the long run if you leave him. He will get over this, I promise. However, if you just can't bear to leave him, or if he becomes too distressed, then you might want to bring him into your bedroom to sleep (but in his own bed or crate) and move him back into his proper sleeping place when he's settled down, or fallen asleep. 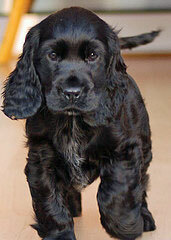 Some Cocker owners swear by placing a ticking clock by the crate for the first few nights; the ticking sound is said to replicate the mother's heartbeat and has helped to soothe many an unsettled puppy. A word of warning though, please remember to switch off the alarm! If your puppy continues to cry for the next couple of nights and you know he's warm and comfortable, not ill, or in pain, you'll need to stand firm and leave him where he is, otherwise he'll learn that when he cries you'll always come to him. Believe me, just like with babies, that's a recipe for disaster! When you go to your puppy in the morning, don't be surprised if he's messed in his crate overnight, it's perfectly natural. Don't scold him for it and don't make a fuss, just clean it up and get on with the day. If he's still asleep, or has just woken, take him straight outside before he has the opportunity to have any little 'accidents'. I hope these tips about bringing home a new puppy will help to make you feel more confident and help you to get him safely through his first night in his strange new world. But this is only just the beginning. The real work starts now! Just like babies, puppies thrive on a routine, so before bringing home a new puppy, I strongly recommend that you consider exactly what that routine is going to be. He's going to do a lot of sleeping, eating, drinking, (and then peeing and pooping), exploring and playing. He'll need to be toilet trained, groomed, exercised, obedience trained, and properly socialized so that he grows up happy and confident about his environment. You'll find help with all this and more in my puppy care guide and I thoroughly recommend you begin a routine for your puppy from day one and stick to it.